ASCs are committed to working with faculty in our shared quest for student success, so we offer various resources to support curriculum and instruction. ASC staff can provide proctoring services in the case of faculty emergency, professional development obligations, or serious illness. The Proctor Request Form must be submitted at least 72 hours (3 work days) in advance. Proctoring is generally available during the ASC's normal hours of operation. ASCs are happy to provide computer access to faculty for classroom instruction. Wheeling and Weirton ASCs have mobile labs equipped with 25 Chrome Books. Wheeling and New Martinsville ASCs have large computer labs on-site as well. Please complete the Lab Request Form to make a reservation. use the online form to provide detailed information that will allow for more targeted outreach and intervention. ASCs work to provide holistic support that contributes to the personal growth and development necessary to thrive in the classroom, workplace, and beyond. We offer a variety of in-class workshops that address the personal, psychosocial, and cultural needs of students. Our workshops are intended to supplement the content expertise of our faculty. We are also happy to work with individual instructors to create workshops that complement particular course needs. Workshops and appropriate contact information can be found here. 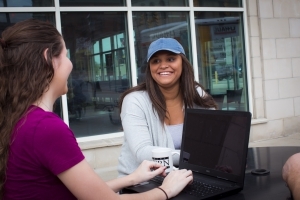 Supplemental Instruction (SI), created at the University of Missouri-Kansas City, is an academic assistance program that utilizes peer-assisted study sessions. SI sessions are regularly scheduled, informal review sessions in which students compare notes, discuss readings, develop organizational tools, and predict test items. Students learn how to integrate course content and study skills while working together. The sessions are facilitated by “SI leaders”, students who have previously done well in the course and who attend all class lectures, take notes, and act as model students. SI is a free service offered to all students in a targeted course. SI is a nonremedial approach to learning as the program targets high-risk courses rather than high-risk students. All students are encouraged to attend SI sessions, as it is a voluntary program. Students with varying levels of academic preparedness and diverse ethnicities participate. There is no remedial stigma attached to SI since the program targets high-risk courses rather than high-risk students. The ASC is happy to work with individual faculty members to develop an SI option designed to work with specific courses and particular teaching styles. The Academic Support Center (ASC) provides WVNCC students with varied resources for success, free of charge, including but not limited to: learning strategies instruction, academic coaching, study groups, study partners, mental health referrals, and accessibility services. The ASC can be reached at 304.214.8853 and asc@wvncc.edu. Students with a documented disability who wish to request academic accommodations are encouraged to contact the ASC Accessibility Counselor to discuss accommodation requests and processes. Please contact the Accessibility Counselor using the ASC contact information provided above. As required by the Rehabilitation Act of 1973 and the Americans with Disabilities Act of 1990, reasonable accommodations are provided to ensure equal opportunity for students with verified disabilities. If you are already registered with the ASC and have a letter verifying that you are a qualified student with a disability, please speak with me regarding your letter/accommodations as soon as possible. I will work with you and the ASC to plan and implement reasonable accommodations. Students who do not register with the ASC to have their disability verified are not eligible to receive any special accommodations. Faculty members are invited to schedule a few office hours each week in the ASC to offer instructional support and/or advising assistance to students. ASCs welcome faculty to provide professional development for our paraprofessional staff of support coaches and tutors. Workshops and/or training activities can be scheduled at a mutually convenient time. These collaborations are a win-win for student success at Northern: support staff have an opportunity to acquire mandatory training hours and strengthen their skills, while faculty members enhance their FERC and merit applications.